It’s time for clothes on top of clothes, hearty meals with hot drinks, and the fragile hope that you won’t hear a Christmas carol in a retail store until at least Thanksgiving. We hear ya! Grab your favorite sweater and let the crickets entertain you. Album Release Date & Tour! 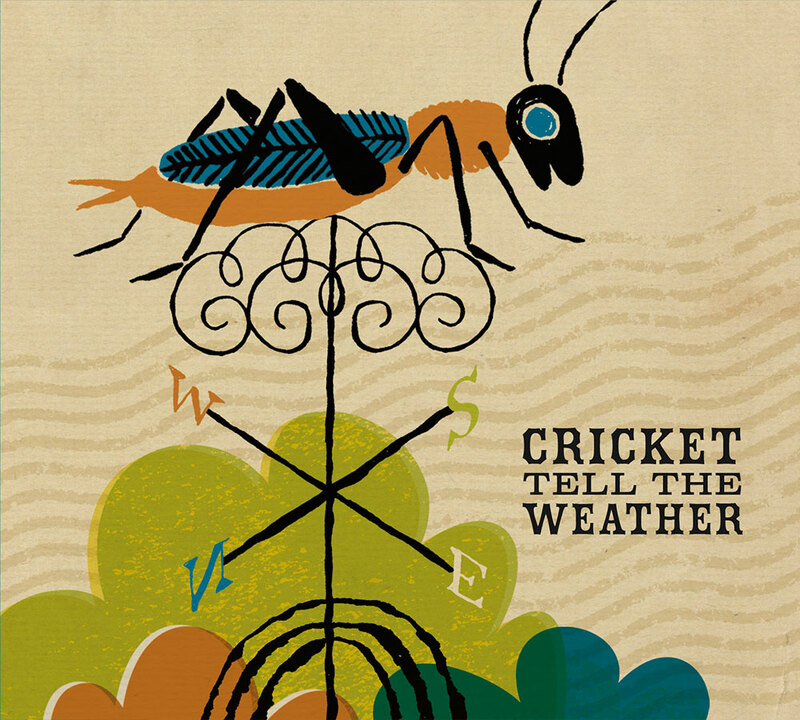 We’re happy to announce our debut album, Cricket Tell the Weather, will be released April 1st! Come see us on our CD Release Tour! 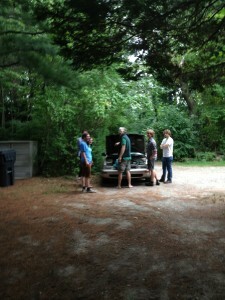 Cricket Tell the Weather will be available on CdBaby, iTunes, and Bandcamp. 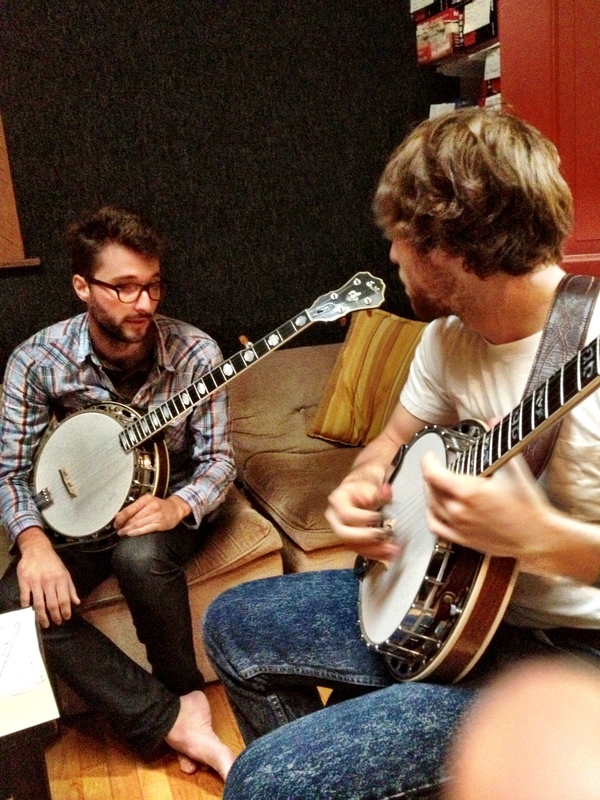 In the mean time, check out a sneak peek of the album track “Salt and Bones”. We Crickets have a strong love and appreciation for bluegrass music, and there’s nothing like being able to share the music with kids who are hearing it for the first time! Thanks to the Mayor’s Neighborhood Arts & Heritage Grant, funded by the City of Bridgeport and the Bridgeport Arts and Cultural Council, we were able to create this short film on a bluegrass workshop we recently gave to a group of fifth graders at Classical Studies Academy, a public elementary school in Bridgeport, CT. Many thanks to Ron Michael Cinematography for capturing it all! So many thanks to Principal Helen Giles and Music Teacher Michelle Humble for their support, and for creating such a loving and supportive learning environment for these kids! Fiddler Andrea Asprelli has worked with these fine educators over the past year as part of the Bridgeport KEYS program, and its been a long time coming to bring the full band to the school. This was a blast! Album Updates, Bass Doubles, and New Shows! We’re back from our second recording session over at Signature Sounds Studios in Pomfret Center, CT. We had another great session with our fearless leaders Mark Thayer (sound engineer) and Wes Corbett (producer) finishing up some tracks and recording two new ones for our debut album set to release in early 2014. All ten tracks now are off to Dan Cardinal at Dimension Sound Studios in Boston for mixing, and then to engineering guru Dave Sinko for mastering. Keep an eye out for tracks coming your way soon! 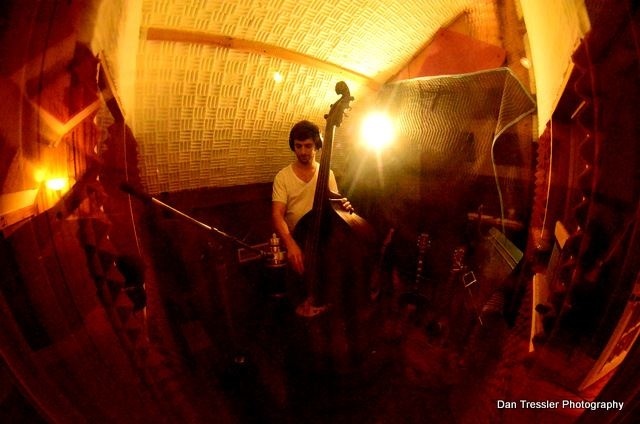 We were honored to have double double-bass action with both bassists Hans Bilger and Jeff Picker in the studio. 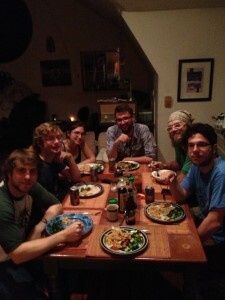 We recently initiated into the band Oregon-native Jeff Picker. Currently making his home in NYC, Jeff has a background in jazz and bluegrass and lives up to his name! We’re sad to say so long to Hans Bilger, who has his hands full as an Environmental Science major and sophomore at Yale University. But once a Cricket always a Cricket– many thanks Hans for all your creative, intuitive, spontaneous musicality! Now go save the world! We have new shows posted and a busy 2014 ahead of us! Check out the shows page on our site, and come say hi at a venue near you!! What a weekend! 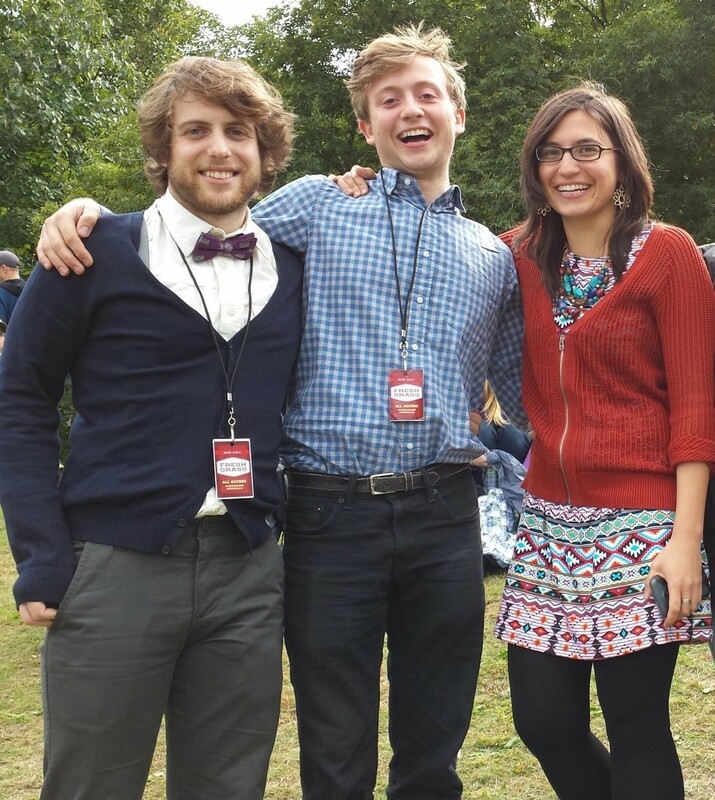 It’s a gift to be able to enjoy beautiful music in an inspired setting with old friends and new. 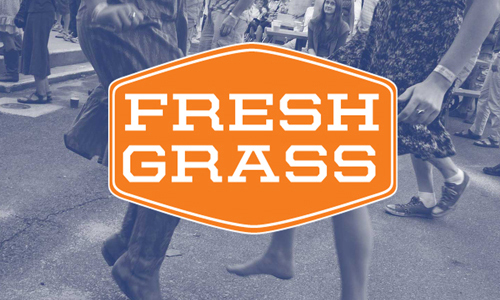 FreshGrass is a festival all its own, with bluegrass and new american music bouncing off the red brick walls of Mass MoCA‘s 19th century industrial compound, a contemporary art museum nestled between the still-operating train tracks and the Hoosac River in Western Mass. 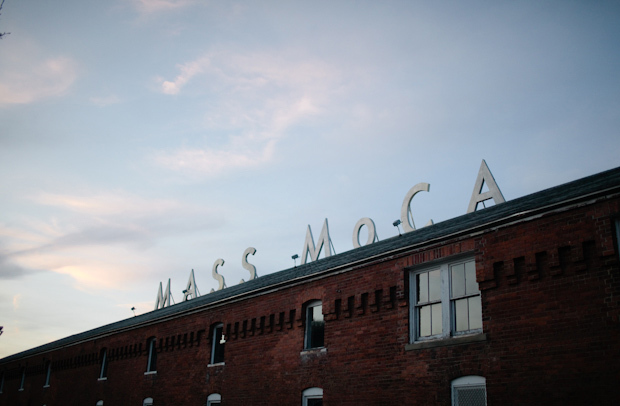 We’re honored to receive first place in the 2013 FreshGrass Award Competition at Mass MoCA in North Adams, MA. We were joined in the finals by 4 incredibly talented bands from Boston to Nashville, and performed for a group of dedicated Sunday-morning risers and the intimidating American-Idol style panel with judges from FreshGrass, Compass Records, and Mass MoCA. We were waiting for that Simon Cowell cutting blow from Alison Brown– no dice. We’re happy to report we’re coming home with $5,000, Compass Records studio time in Nashville, and a 2014 FreshGrass slot. Many many thanks to all the organizers and volunteers at FreshGrass and MassMoCA, and to everyone who came out to support us! 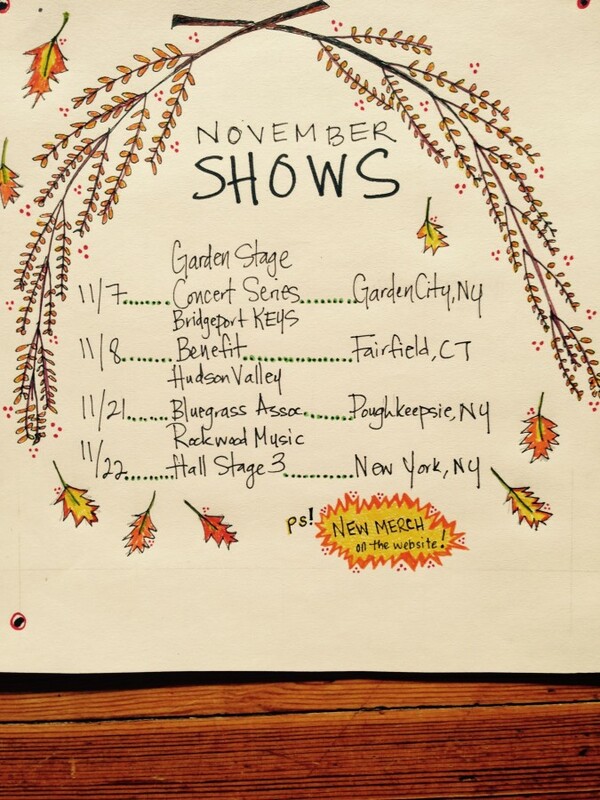 We’re in the process of booking some tours all along the Atlantic, so drop us a line if you’d like to see us near you! In the mean time, sign up for our mailing list down below, keep an eye out for our upcoming album, and we’ll see ya real soon! For all those who’ve been asking us about our upcoming CD, good news! 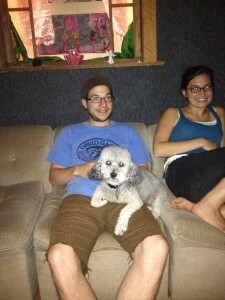 We’re well on our way with Mark Thayer over at the Signature Sounds Studio in recording our debut album. We’ve been honored to have been working with the killer bassist/songwriter Bridget Kearney (Lake Street Dive) in pre-production for the past few months, and stoked to bring on Wes Corbet (Joy Kills Sorrow) as our in-studio Producer for our first project! We spent the weekend laying down 8 live tracks at the studio farmhouse in Pomfret Center, CT and had an awesome time in CT’s quiet corner. Dan knocked out 50 holes of discgolf in one early morning, Doug flexed his Bananagram superpowers, and Jason conjured up a deli sandwich fit to feed an army or Hans Bilger. 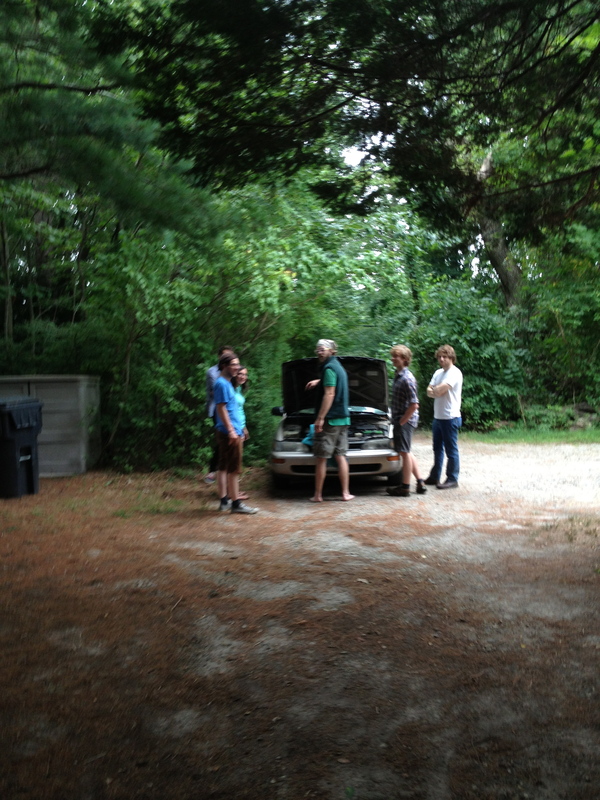 All was fun and games till Andrea’s corolla Annabelle bit the dust with 5 musicians and gear all ready to go. Thank those lucky stars for the roadside assistance of Big Dan T and Mark’s sacrificial makeshift oil siphoner/turkey baster for getting us all back on the road safe and sound. We’ll be back in the studio in November to finish up all 10 tracks and send off to Dan Cardinal (Dimension Sounds) for mixing. Stay tuned and thanks for all your support! FreshGrass Festival announces Cricket as FG Award Semi-Finalist! 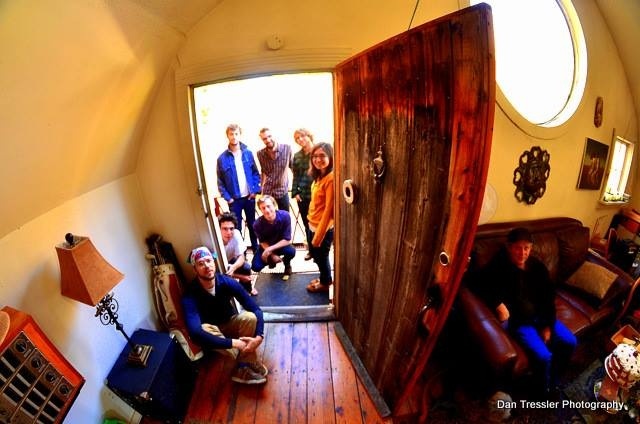 On Friday, the good folks over at FreshGrass announced that Cricket Tell the Weather is among six semi-finalists chosen for the 2013 FreshGrass Award! The semi-finalists will be performing for a live audience and this year’s powerhouse jury: Compass Records’ Alison Brown, Berklee College of Music’s Matt Glaser, and FreshGrass Producer Chris Wadsworth. On the table for first prize is $5,000, a day of recording at Compass Records, and a spot at the 2014 FreshGrass Festival. Come out on Sunday, September 22 from 10am – 2pm to see this year’s semi-finalists: the Six Deadly Venoms; the Vickie Vaughn Band; Cricket Tell the Weather; Molly Tuttle, John Mailander, and Ethan Jodziewicz; the Lonely Heartstring Band; and Chasing Blue. We’re honored to be part of this crew of six outstanding semi-finalists, and excited for what looks like one of the best festival lineups of the year! Get your FG tickets here, and we’ll see ya in September! 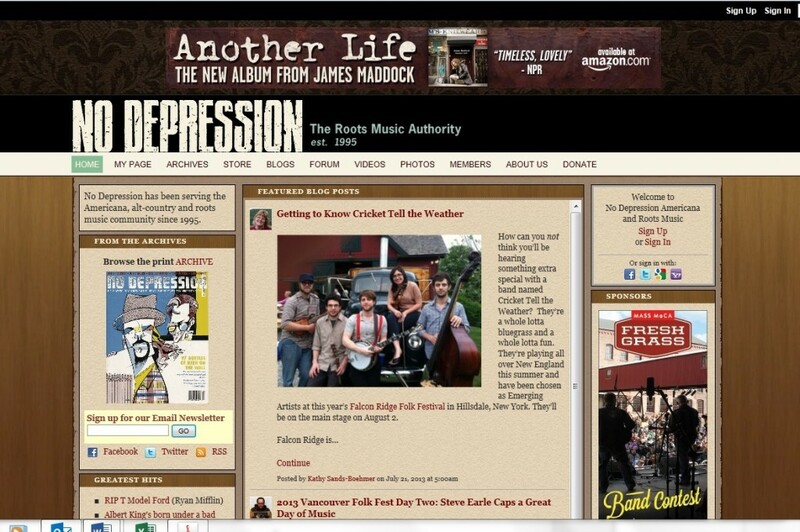 As we get ready for our showcase at the Falcon Ridge Folk Festival, we were stoked to have an interview with Kathy Sands-Boehmer of the blogs Everything Sundry and the alt-country magazine No Depression. 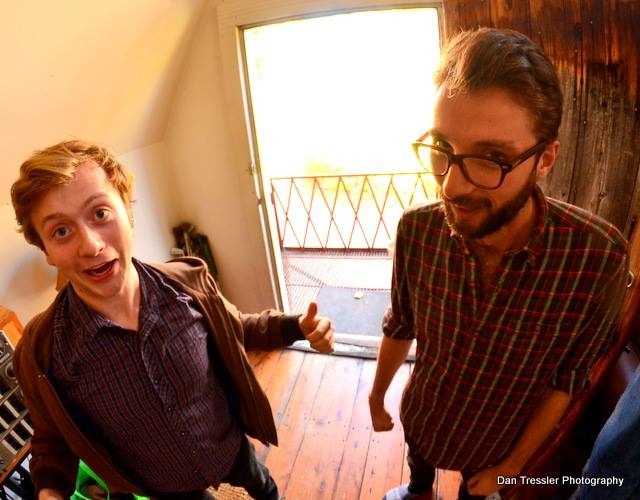 Check out our interview, and then come see us at Ossipee Valley Music Festival July 26 and 27 (Friday 3pm Stage Too, Saturday 11am Dance Stage) and at the Falcon Ridge Folk Festival’s Artist Showcase. Happy festival season, y’all! We’re gearing up for our favorite festivals this summer, with Ossippee Valley Music Festival in S. Hiram, Maine and Falcon Ridge Folk Festival in Hillsdale, NY coming up in the next month. 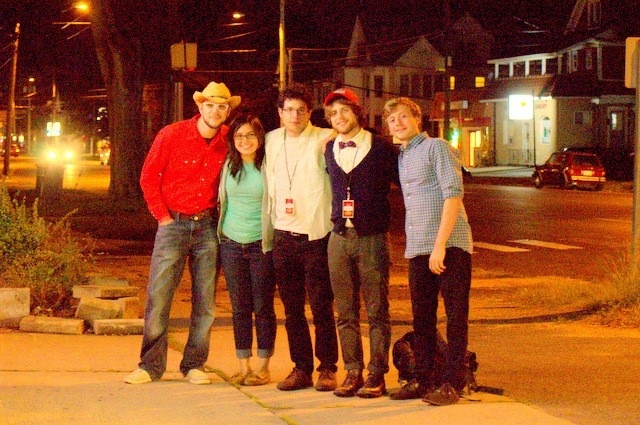 We’re also excited to be invited to the Downtown Thursdays stage in Bridgeport, CT. The City of Bridgeport has been doing an awesome job bringing in creative talent from across the state, supporting artists and musicians who want to help bring new life to Bridgeport’s downtown. Come out and see what they’ve been up to this summer at McLevy Green, with drinks and refreshments provided by local restaurants. We’ll be sharing the stage with the amazing Ada Pasternak on Thursday, August 1st. Cricket Tell The Weather | Powered by Mantra & WordPress.